The Makpetrol Hotel is located in a wonderful forest landscape and perfectly arranged surroundings, with a view on the Ohrid Lake. 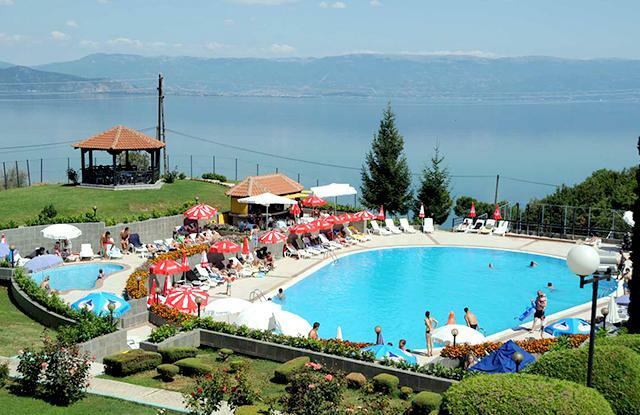 It is situated in the vicinity of the town Struga and in about ten kilometers from the Ohrid airport. The hotel has it's own parking lot, a sand beach, swimming pools and rereational and sporting facilities. 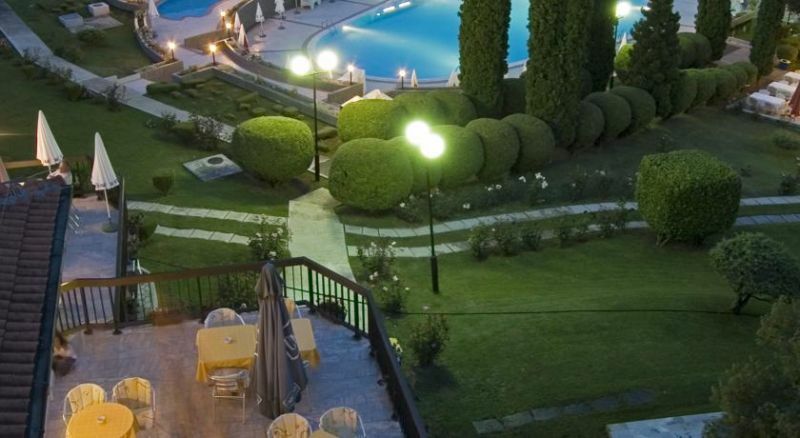 Hotel is ISO 22000:2005 and HACCP certified. The hotel possesses 46 twin-bedded rooms and three suites. 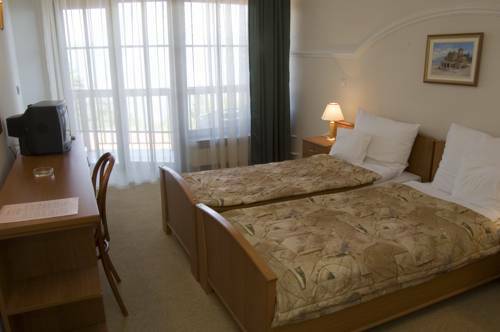 All rooms are equipped with air-conditioning, a toilet and a satellite TV set,and also have terraces overlooking the Ohrid Lake. The suites are also provided with jacuzzi baths, a mini bar, a small kitchen and Internet. The premises dispose of sport facilities (a tenis court, a handball, basketball and soccer fields, trim-tracks), and organize sport tournaments and training. 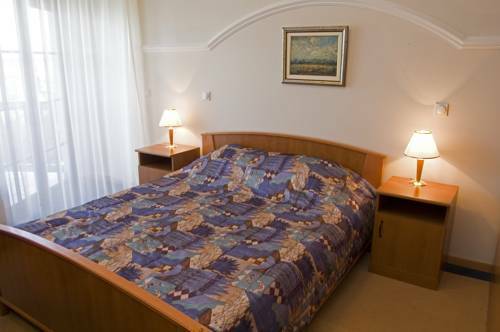 There is also possibility of a night sporting, a fitness center, a sauna and a night swimming pool. You can pass your spare time by visiting the monastery complex of Kalista, the Radozda cave church, the Drim River quay, the attractive Struga marketplace or the Struga poetry evenings.